Attention: all messengers, light workers, visionaries, creatives and change makers who are serious about getting their message out to the world and fulfil their life's purpose. You can no longer put off your most important dream and it is your time to rise and shine! In this step by step programme you are going to learn how you can effectively fulfil your vision, design the life you desire and live a purposeful life. You are finally getting your message out to the world. You feel confident that your vision will become a reality thanks to a proven step by step system. I take you by the hand and guide you personally so that you can fulfil your dreams and achieve your goals. It is absolutely possible and I want to show you how. Honour your most important dream today by taking action and learning from this valuable home study course which will transform your life. Let us walk together on the golden path to success. I know you are ready and you are only a step away from making your dream come true. This is all possible and Pascale will take you by the hand and guide you through The Courage To Rise And Shine Programme. The Courage To Rise And Shine Programme is based on proven success principles that work. Once you apply all of the techniques and training you will learn you will finally fulfil your dream of getting your message out to the world. The benefits of The Courage To Rise And Shine Programme are immense! Help you increase your confidence and motivation. Play a bigger game and be taken seriously. Live a purposeful and passionate life. Transition into a new career. 5 deep and powerful modules which have been designed to stop you from shying away from your greatness and living a more confident life. 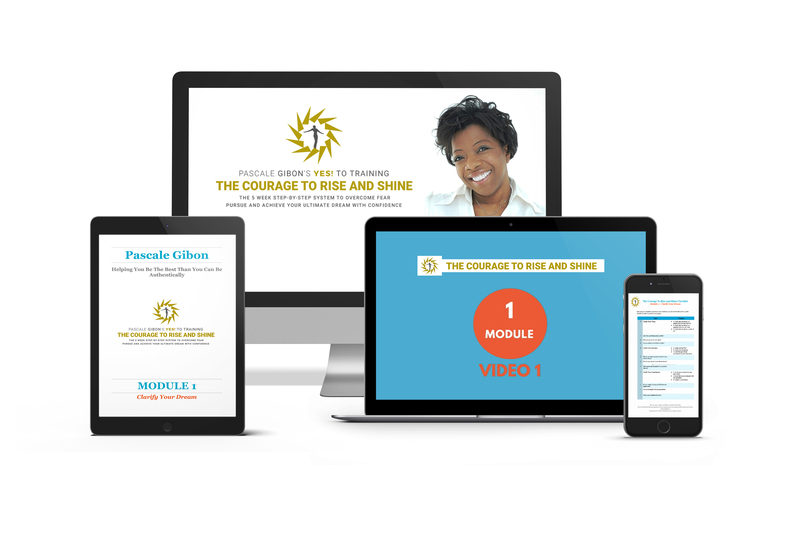 The Courage To Rise And Shine full course curriculum. Weekly assignments to help you take immediate action so that you can move toward your ultimate dream. Weekly checklists in order to monitor your progress. Lifetime access to the members' portal, including step-by-step videos, audios and downloadable material. Community support. Lifetime membership in my private Courage To Rise And Shine Facebook community, where you will receive all of the support that you need, ask questions and share your experience. Module 1: Clarify your dream with The Courage Booster. Module 2: Build strength, courage & confidence with The Confidence Booster. Module 3: Draw a clear pIan with The Dream Achiever Masterplan. 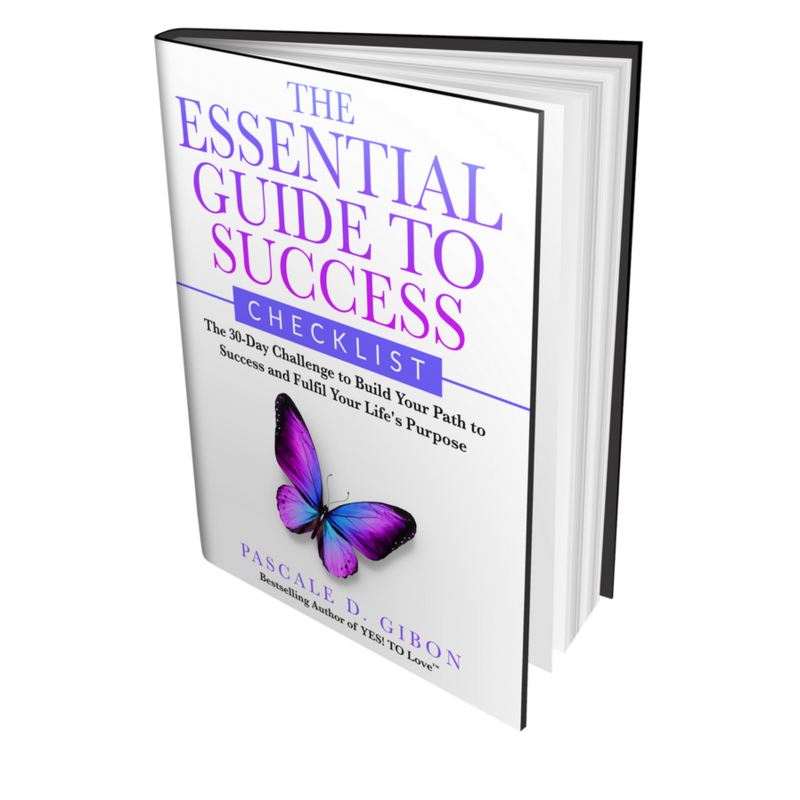 Module 4: Learn the formula for success with The Invincible Success Booster. Module 5: Accomplish your dream successfully with The 7 Momentum Boosters. All together you will have a complete programme to get your message out to the world all for only $327 or two monthly payments of $169. This is a complete course you have lifetime access to fulfil your dreams and transform your life. You can download Module 1 videos and audios right after your purchase, which means you do not have to wait any longer to fulfil your vision. All you need to succeed and fulfil your life's purpose is in this programme. Enroll now, click on the button below to get instant access. Full 30 days 100% satisfaction guarantee. If you are not happy; return it for a full refund. · 5 powerful video modules taking you step-by-step through the process of pursuing and accomplishing your ultimate dream with confidence. · Weekly activities which will help you put your commitment and goal achievement plan into action. · Lifetime 24/7 online access to the course including video modules and downloadable action guide. · Lifetime membership of my private The Courage to Rise and Shine Community on Facebook, a vibrant community of like minded people who will support you as you move towards achieving your ultimate dream.
. Three live Q&A sessions, which will help you to clarify any question that you may have during your learning sequence.